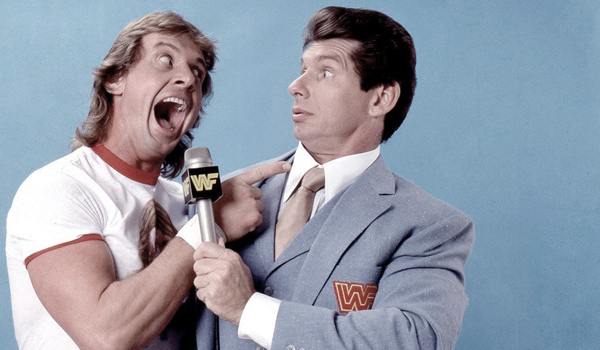 Being Retro: 'Rowdy' Roddy Piper... Rest In Peace! 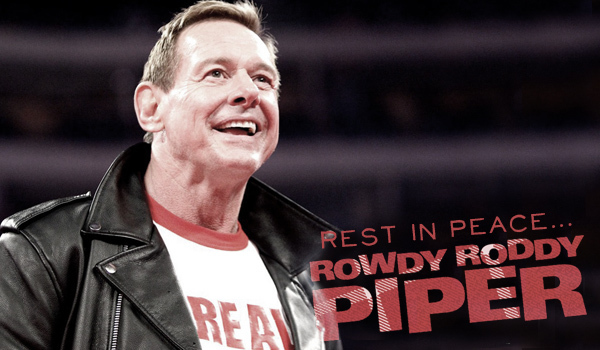 'Rowdy' Roddy Piper... Rest In Peace! YAHOO MOVIES: By Marianne Zumberge - WWE legend “Rowdy” Roddy Piper died from natural causes in his Hollywood home on Friday. He was 61. Born Roderick George Toombs, Piper joined the WWE in 1984 after getting his start with the NWA in the late 1970s. Piper and Hogan met in landmark matchups including MTV’s The War to Settle the Score and the first WrestleMania, where Piper and “Mr. Wonderful” Paul Orndorff took on Hogan and Mr. T.
He also made a foray into film acting, starring in John Carpenter’s sci-fi pic They Live. He died with 123 acting credits to his name for his wrestling work on TV, movies, and also video games. Piper had suffered a bout of Hodgkins Lymphoma in 2006 but was reportedly deemed cancer-free last November. The wrestling icon was inducted into the WWE Hall of Fame in 2005. He was named one of the WWE’s top 50 villains, as well. Piper is survived by his wife, Kitty, and their four children. Way too young to go. Very sad. I was saddened when I read of this. His THEY LIVE not only had funny one-liners but it was thought-provoking. I agree with Alex. Always sad to lose a public figure who has entertained you. Seems very personal. 123 acting roles! Truly one of the greatest actors/wrestlers ever especially since Hogans fallen apart. They Live is an underrated classic. Good tribute Jeremy. It doesn't seem right that he died of "natural causes" at only 61, and when he was clearly very fit. Thank you for the tribute, Jeremy. It is sad. Very young to leave this world. We in UK had a star pass away this week-end, Singer Cilla Black who was discovered by The Beatles passed away. May they both Rest In Peace.. Happy Dog Day... the day after! STOP SMOKING, EVERYONE THINKS YOU ARE A JERK!